We reported earlier this year how a new category of Pay TV operator device was emerging – the integrated set-top box and soundbar. It looks as if the French CPE provider Netgem will be one of the first (if not the first) to deploy them, with three European telcos in advanced tests with its soundbar STB, and one set to launch the product before Christmas, supplying them direct to subscribers rather than through retail, backed by a Christmas promotion. The additional cost to the Pay TV operator of integrating a soundbar element into a set-top box does not come close to EUR 99, Thevenot says, even though Netgem is clearly aiming towards the mid-market for soundbars with its current solution (which sounds and looks good in demonstrations). Thus, the EUR 99 (or any similar figure) that you can tempt out of a subscriber offsets some of the cost of putting a set-top box into their home. This CPE economics is one of the motivations that has Pay TV providers talking to Netgem. Another is the potential for soundbars to engage younger consumers with the brand, providing a way for them to stream music. “A large part of their listening is streamed, whether it is radio, or from Deezer or YouTube,” Thevenot points out. As you would expect, the soundbar part of the STB can be operated direct from a mobile device, using Bluetooth, so it can be treated as a powerful smart speaker in the corner of the living room. 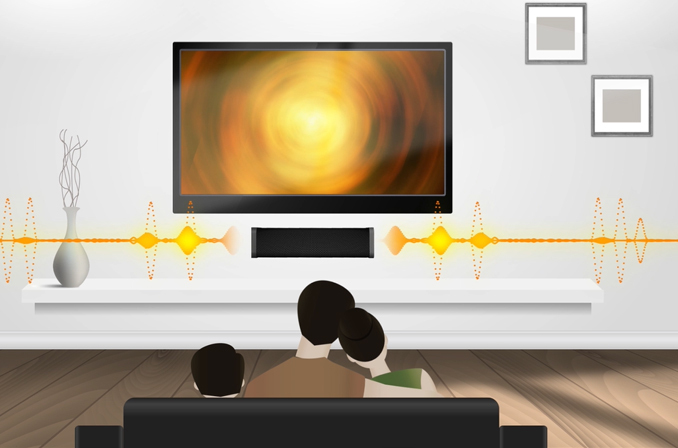 Pay TV operators that Netgem is in advanced discussions with are also interested in the potential to use a soundbar-enhanced STB to encourage consumers to upgrade their living room device, leading them to re-locate the existing set-top box into another room like a kitchen or bedroom. The idea is that you effectively prompt a move towards whole-home viewing and upsell them to a multiroom service. 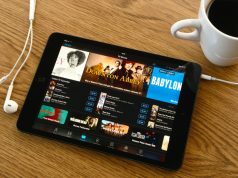 Netgem, which generally serves the IPTV market with its customer premise equipment, has also been talking to companies that want to provide a pure OTT-play for video services into the home. The vendor is also in discussions with mobile operators who lack fixed line infrastructure and want to build a mobile-first subscription TV experience that uses ‘casting’ to the television set (where the casting goes through the soundbar-STB). A greater service provider CPE presence inside homes? The soundbar, alongside Wi-Fi extenders, is an example of how service providers may extend their CPE presence inside customer homes. A Wi-Fi extender could be turned into a digital assistant, given a nice speaker and integration into a conversational ecosystem. That is an obvious way to generate some value-branding, sitting in prime non-TV locations like on the kitchen worktop, especially with consumers who are not wedded to Amazon (Echo), Google (Google Home) or Apple (HomePod, coming next year) hardware – which is surely going to be a large ‘follower’ and late-adopter marketplace. Sky in the UK and Ireland has already dived into the soundbar market, albeit with a different approach to the one Netgem is offering. As we reported previously, the Pay TV giant has teamed with Devialet, a leading name in audio, to develop and co-brand a standalone product. This will work with any television, but it is also designed to deliver an optimised experience when integrated with a Sky Q set-top box. That is when you get to enjoy ‘Sky Q Sound’ – exclusive sound modes designed by Devialet that automatically refine the audio for a range of Sky entertainment and sports. Sky is selling the soundbar for £249 (if you are a Sky Q Multiscreen subscriber) or £299 (for other Sky subscribers). We previously reported on concerns that the proliferation of retail soundbars could actually drive a wedge between Pay TV operators and the televisions they need to serve, literally pushing their set-top boxes off the shelf that sits below the television set. That could provide another impetus for Pay TV operators to turn their set-top box into a soundbar that contains an STB. You can read about those fears here. There is a 5-10 minute discussion about the possibility for Pay TV providers to expand their CPE presence in customer homes in our recent webcast, ‘Using open-source CPE to drive service innovation’. The discussion about future CPE strategies can be found in the first 15 minutes of the one-hour webcast featuring Joel Westin, Product Director at ComHem and Darren Fawcett, VP Technology Solutions at ARRIS. You can listen to the conversation here.